B2C repo workflow hasn't changed much for a long time. Client enquiries come in via a separate chat application, the salesperson checks them and sends them on to the repo trader, who prices the deal and agrees terms with the client, before the salesperson books the deal ticket(s) that are then sent to the client. Because these activities often involve separate applications and also include the manual creation of deal tickets, the overall process is clearly inefficient. Apart from having to switch between applications, a large percentage of a salesperson's time can be consumed in manually completing deal tickets. Furthermore, many of these tickets will be for tom/next or spot/next trades that are very low margin. 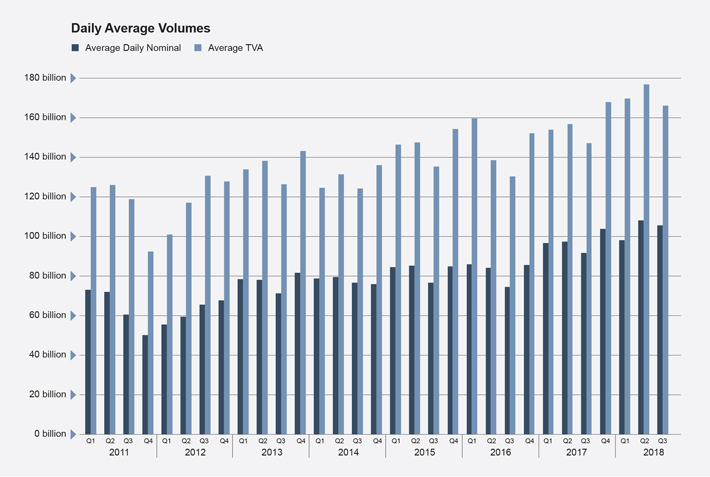 In the meantime, from a buyside client's perspective, every transaction has to begin with making a manual RFQ, which for trades involving multiple bonds and repo terms, can be particularly labour intensive. Collectively this means that if more of the B2C repo trading process can be consolidated into a single application, such as the bank's interdealer repo trading platform, then both buyside and sellside can benefit. It is for this reason that MTS has created a dedicated platform that incorporates all this functionality. For example, if the chat functionality and the automated generation of deal tickets are integrated within the bank's repo trading screen, the salesperson gains from a far more efficient workflow, while also minimising the usage of valuable screen real estate or the need to switch between applications repeatedly. Buyside RFQs can come in and will be immediately visible to both the bank's sales team and its repo traders, so the pricing process can be streamlined. Furthermore, the printing and sending of deal tickets can be automated with full STP to the back office. Better still, if the repo platform also enables the distribution of customised pricing to the buyside, further benefits are achievable. For instance, if the bank can automatically distribute repo quotes to buyside clients based upon a client-specific spread over its interdealer pricing (in other words showing a tailored, mirrored axe), then those clients benefit from better pre-trade price discovery. Rather than manually typing messages into a chat application, they can simply click the indicative quoted price to trigger an automated RFQ to a bank that they know is axed to trade. If the buyside client has multiple bonds that they wish to extract maximum value from, then this can also be a major time saving convenience. In addition, as these RFQs will now come in to the bank sales team in a standardised format, they will save time that can be better used for making higher margin relationship sales. If instead the bank's repo dealing platform's blotter incorporates the SFTR trade-specific reporting fields, then both parties to a B2C repo trade will effectively already have the majority of the fields pre-matched. For smaller buyside firms, this represents a major time and cost saving, as well ensuring existing sellside trading relationships are not jeopardised. Fortunately, because repo is typically far less volatile than cash (apart from a few situations such as CTD bonds at futures expiries), price discovery does not require real time data. 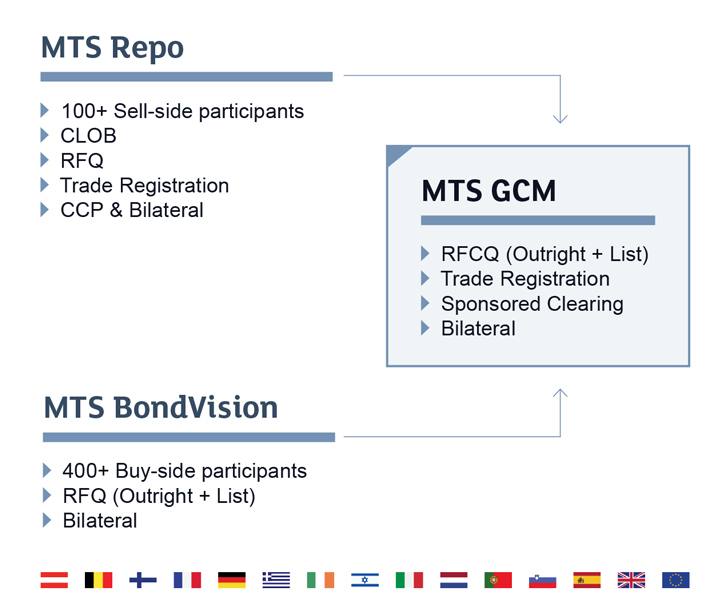 Buyside traders will therefore be able to use end of day data, such as that now provided by MTS in both summary or complete form (see Figure 1), as a proxy in order to price the cost of repo positions with far more accuracy than at present. This will enable buyside traders to filter their portfolio against repo costs and therefore quickly decide which trades might be viable and which would not. This sort of filtering process would materially increase the productivity of buyside repo traders, allowing them more time to make RFQs on just viable pre-screened trades, with positive implications for the level of trading activity and profitability. As happened recently with the CTD for the Sep 18 Euro-BTP future expiry, a bond may appear very over-priced versus its peers in the cash market and therefore a valid candidate for shorting. However, if the cost of borrowing the bond is excessive (as was the case with the BTP 9/28, trading as low as -8%) then the trade may no longer be viable. To download a copy of this paper, click here.